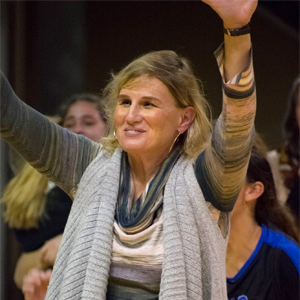 MOBILE, AL – Bayside Academy has won 23 state championships in volleyball over the last 31 years, and head coach Ann Schilling is responsible for most of that success. This November, Bayside Academy won its 16th straight AHSAA State Championship under coach Schilling, but the unprecedented success doesn’t phase Schilling. “I don’t talk about it much,” Schilling said. “They know, and we know what we have to do. Because of her outstanding success in high school volleyball, Schilling was inducted into the AHSAA Sports Hall of Fame on March 19. For more, you can listen to the full interview below and tune in to Prep Spotlight Wednesdays at noon and Sports Drive on WNSP weekday afternoons from 3 p.m. to 6 p.m.